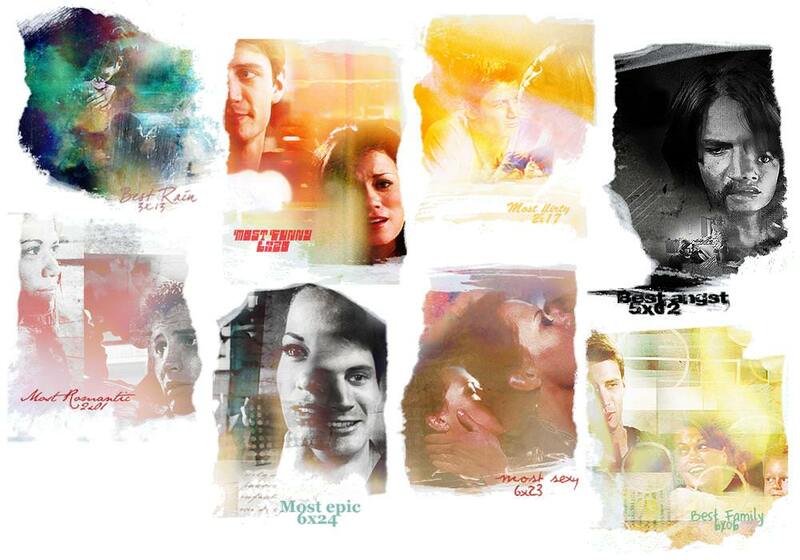 Fan Forum > TV Shows - Past > One Tree Hill > The Romantics [NH+2] #1254: "You’ve given me an amazing life. And I do love you so." Nathan Scott was known for getting what he wanted. Anything he wanted. He had the looks, the athletic talent, the family name, the money, the popularity, the influence. He wasn’t afraid to use it. What more was there? But, he wasn’t fulfilled. Haley James was known for being unknown. She was the uniquely quirky intelligent bookworm, with no status, no major popularity, and seemingly no outward special talents. She had an upbringing and lifestyle that in no way paralleled Nathan’s. She lived life playing by the rules, and defining excellence by said rules. Yet, she wasn’t fulfilled. All of that would change when the boy who always gets what he wants entered the girl’s orbit. He saw the diamond in the rough. He dared her to move. He dared her to take risks, dream big, think outside of the box. He dared her to share her big heart, hidden talents, and incredible beauty with the world. She believed the boy, she learned to do so, and the world didn’t end. Just the opposite, life truly began. Likewise, she dared him to move. She dared him to believe, just believe. She dared him to believe in himself, believe in his worth, believe in his goodness, believe in his infinite potential, believe he was more than good enough. He believed the girl, he learned to do so, and the world didn’t end. Just the opposite. True love… Always and forever was born. Always and forever has seen the highest highs and the lowest lows. Together, these high school sweethearts have set the world ablaze. They haven’t always been perfect, they've lost some battles, they’ve made mistakes, and they’ve failed, but they’ve found that true love is a place where forgiveness is right where you fell, and redemption has stories to tell. They’ve grown as individuals, and in their relationship. They’ve shared shed tears, they’ve shared laughter, they’ve shared loss and anguish, they’ve shared dreams coming true, and they’ve shared starting a family. The bad and the ugly that comes with the good? It’s all been worth it, it’s been everything, because these two know that without each other, without their love, nothing else matters. What happens next? Who knows, but we know this: True love is timeless. True love triumphs. True love stares odds down and defies them. True love believes that the sky is the limit and all things are possible. True love is… Always and Forever. We’re betting on Nathan and Haley. Always and Forever. "I'll get that." Her breath hitched in her throat when she heard his voice, her body tingled with his presence. The hand she knew as well as her own stretching past her to pay for her coffee only giving her the confirmation she didn't need as to who was stood behind her. She stood aside while he ordered his own drink. Neither said a word, neither needed to. He pushed her lightly by the small of her back across the small cafe to a window table that she was sure hadn't been free of holiday shoppers seconds before. He probably had someone move. It was something that she'd always claimed had infuriated her; his unapologetic belief that he was slightly better than everyone else, that he deserved more. It had never annoyed her half as much as she'd let on – maybe because to her he was better. He did deserve more. It wasn't until they were seated that she allowed herself to look at him for the first time. He no longer gave off the air of a cocky boy; he was clearly a man now. It surprised her and she wasn't sure why. Despite having spent hours watching video footage of his games through college – much to the chagrin of her roommates who never received an answer when they asked why - in her mind she still pictured his face the way she'd loved it most. Lying next to her in bed sleeping, his eyes flickering behind his eyelids as he dreamed of her, or at least that's what she used to tell herself as she lay studying his strong features. Often reaching out with her fingers tracing them over so much that there were times even now she swore she could feel them on her fingertips. "How've you been Hales?" He asked, and she shivered despite the warmth of the people filled room and her heavy winter coat. She still wasn't sure this was happening. Maybe she was dreaming? Yeah, that was it. She'd overheated in the toy store when she'd been shouting at the smug stock boy who, although she'd tried not admit to herself, reminded her of him, and she was actually out cold on the sweaty floor of Toys R Us. Her shopping scattered around her. It certainly wouldn't be the first time her subconscious had played this meeting out. "Still preferring Haley-land to real the world I see?" He joked bringing her out of her thoughts and she felt a deep blush take over her cheeks, she lifted her cup to her lips in an attempt to hide it. He noticed though, his self assured smirk only causing it to deepen still. She tried to recall the last time she'd blushed like this and her mind flashed with images of their younger selves. It wasn't likely, she knew, that it truly was the case that it had been that long, but as had always been the way in his presence she could only think of him. "I've been good," She answered finally and he nodded in response, a ghost of a smile playing at his lips. "..and from what I read so have you." "I've been lucky." He answered with a self deprecating shrug that she couldn't help but laugh at. "You, Nathan Scott, never needed luck. You were too damn stubborn not to achieve whatever you set your mind too." "You say stubborn, others have more choice words." "Others don't know you like I do." She spoke the words before she had a chance to think about them. It had been five years since they'd spoken, six since they'd been them. Did she know him now? She'd like to think she knew his core. That she knew the essence of who he was so well that despite the years, and what may of happen to changed him, she still knew what made him, him, the way she knew he still knew what made her, her. She cursed herself as the words hung between them. Their eyes locked on each other, the air thick with so many unsaid things. Silence had never been uncomfortable for them. She'd never felt quite as at home as when lying in his arms just listening to their breathing settle into a rhythm, not knowing where one ended and the other began. Moments later he nodded softly, so small a movement that if she hadn't been looking she'd of missed it. Nice for them to get another thread. Wonder when we'll next get a pic. Yeah I hope so too. It's nice there are still new pics of them time from time, even after all this time. ^ Good season for NH. It's definitely a great season for NH. Yep, imo along with S9 the best one out of adult seasons... I know S9 isn't very popular but I liked it too, despite all the craziness that happened in this season.